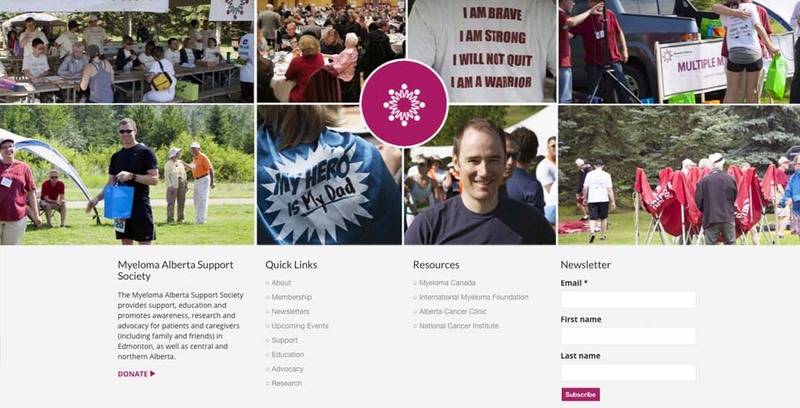 Working directly with the Myeloma Alberta Support Society, Mike redesigned their CMS website to make it mobile-friendly and easy-to-use. 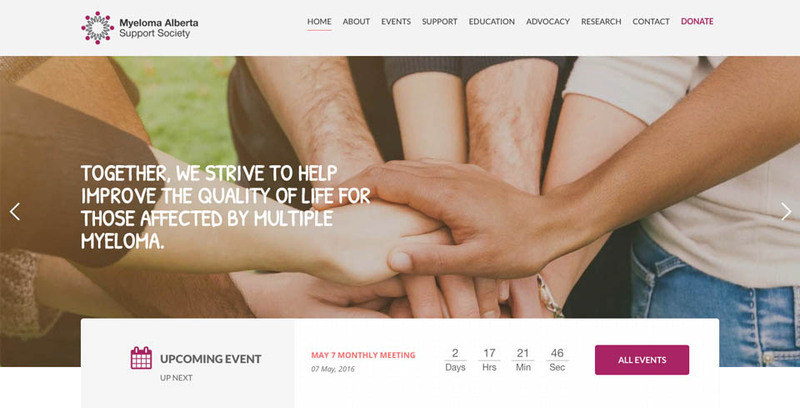 The theme of this website is support and togetherness. Mike added imagery and visual photo collages to reinforce this theme. This website includes a real-time event countdown which automatically promotes their upcoming events. This new redesign makes it much easier for individuals to donate online via Paypal.